Many people, especially paleo eaters, prefer to bring their lunch to work and pack kids’ lunches for school. And for good reason! Most of the time it is a whole lot healthier. 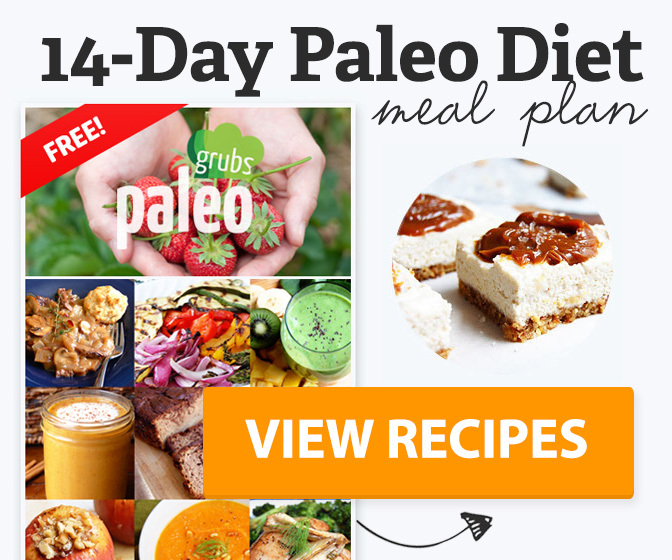 This is the holy grail for lunchbox-friendly, super easy paleo recipes! Make sure to comment at the bottom with your favorites. For salads and paleo sandwiches, a simple way to cook chicken is a must. This easy poached chicken can be made with whatever aromatics and herbs you like, and can be shredded or cubed for taking to school or work in a lunch box, in whatever form you like. I love opening my lunch box on a stressful day to find something bright and colorful. It’s a great stress reliever, and we all know that naturally colorful food is naturally healthy, too! Try these veggie wraps with a sesame, maple, and coconut aminos dipping sauce. Energy bites and balls are perfect for lunch boxes because they don’t require utensils, they’re not messy, and they’re designed to provide powerful energy and nutrients when it might be awhile before you’re going to get to eat again. I love the flavors in this version! 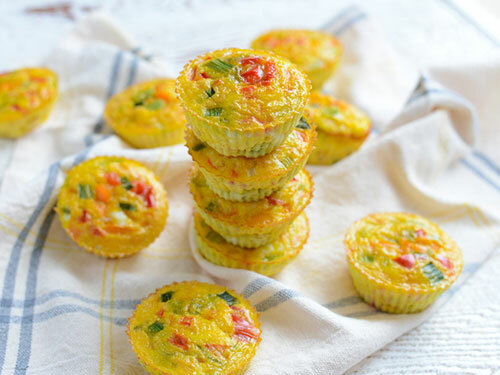 I love taking muffin-cup frittatas to work because they’re filling and protein-rich, but they’re easy to eat without forks and dishes. Perfectly portable! This version is made with chicken, ginger, mint, coriander, and other unique flavors. Replace the vegetable oil with coconut oil. I bet you don’t often think of smoothies being a lunch box friendly item, but packed right, they can be. This fresh turmeric smoothie can be frozen and then stuck in your lunch to thaw until lunch, or just kept cold with an ice pack. 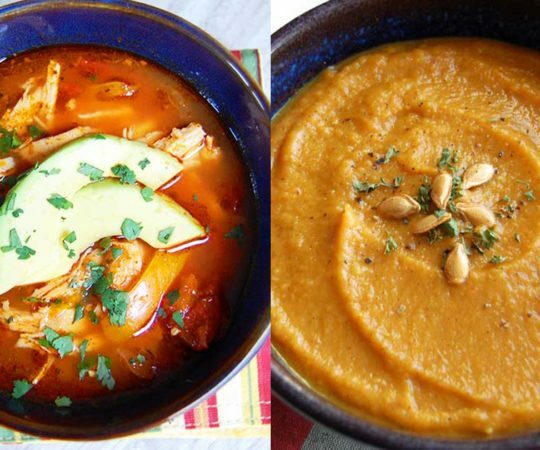 It’s great for your energy levels with carrots, turmeric, ginger, frozen mango, orange, and ground cinnamon. 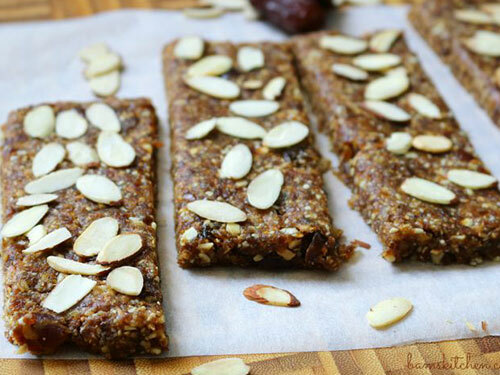 Larabars are a great lunchbox bar because they’re made with real, whole foods so they’re healthy, and they’re tasty with lots of flavors. But the real ones are so expensive! 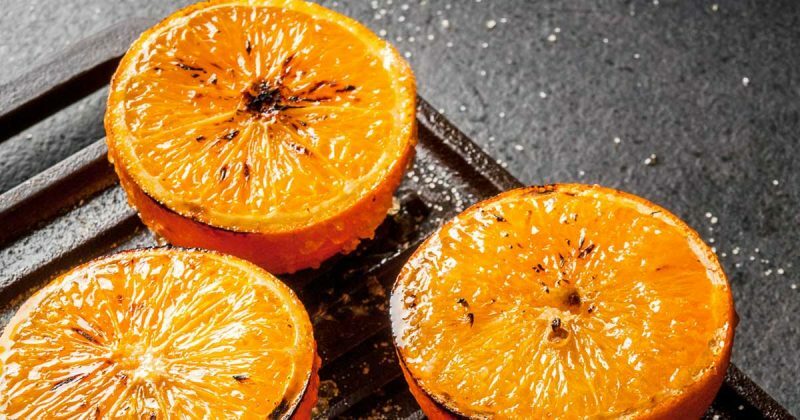 Try making your own version with this two-ingredient super-easy recipe. 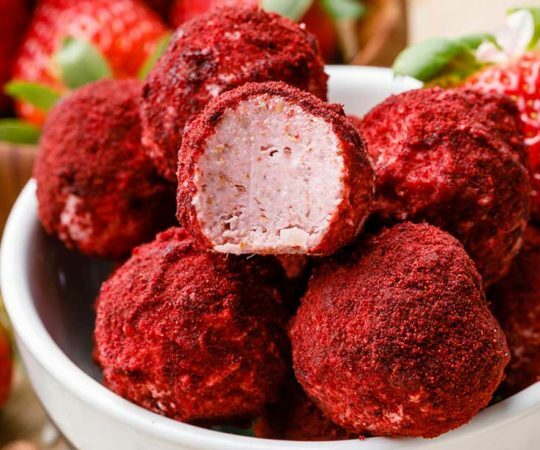 These koftas are similar to meatballs and are made with lamb mince, garlic, cumin, coriander, lemon zest, chili, salt, almond meal, and coconut oil for frying. 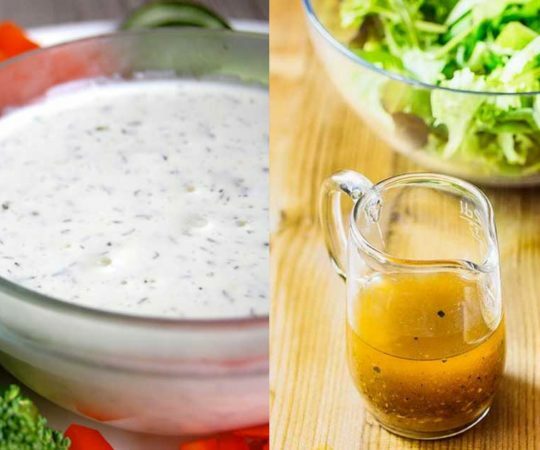 Replace the Greek yogurt with coconut yogurt for the sauce, and they’re easy to pack in a lunch box! It’s no secret that kids love applesauce, and I’ll be honest—so do I! This recipe is extra delicious because it use fresh or frozen raspberries to brighten up the flavor and turn the sauce a beautiful pink. Add a few pinches of cinnamon, ginger, or any other spices you like. Nut butters make packing kids lunches easier, but more and more schools are creating nut-free policies to protect students with allergies. In that case, you can replace your nut butters with sunflower seed butter, homemade with sea salt and if you need it, a sweetener of choice. Remember those Dunkaroos you used to have in your lunchox as a kid? You know the ones—the cookies with the frosting? 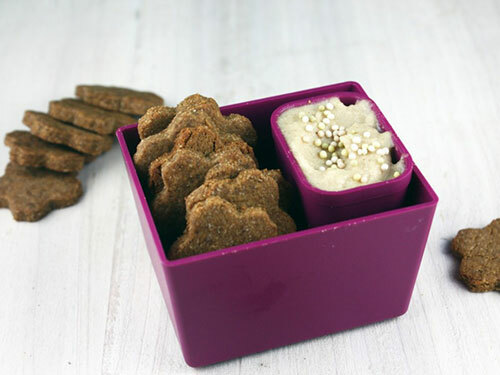 This is a much healthier and paleo-friendy version with homemade honey graham cookies and a vanilla cashew frosting with vanilla and cinnamon. These easy muffins are a great way to get some healthy energy into your kid (or yourself!) at lunchtime. 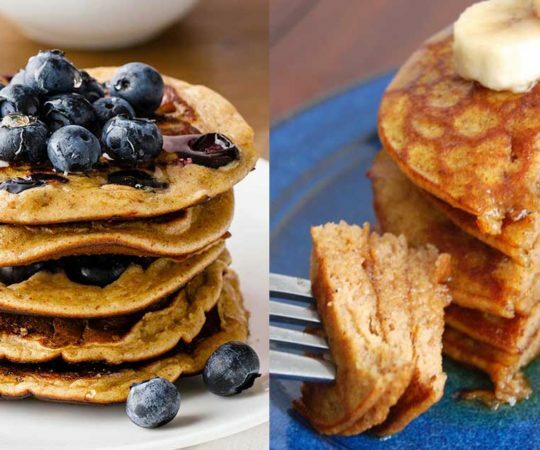 Make them with bananas, sunflower seed butter, coconut flour, flax eggs, apple cider vinegar, vanilla, and pure maple syrup. You can leave out the xanthan gum. These muffins are vegan as well as paleo! 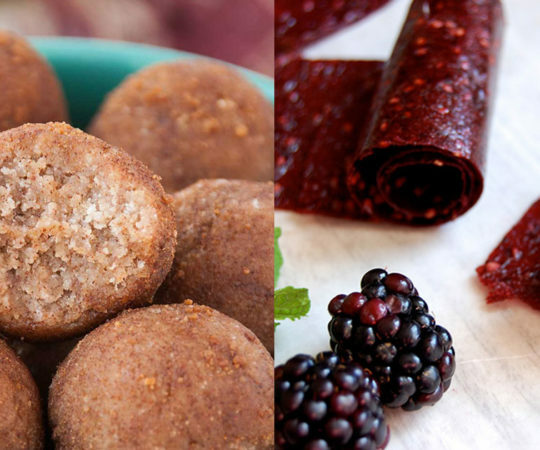 Paleo-friendly imitations of common lunch snacks are a great way to keep your kids compliant with a paleo diet while away from home. This yummy pudding is made with full fat coconut milk, maple syrup or honey, avocado, bananas, chia seeds, cocoa powder, vanilla, and sea salt. I love this taco muffin idea! Get some healthy tacos into your kids’ lunchboxes without a big mess. These muffins are simple and made with ground turkey, sweet potatoes, egg, almond flour, taco seasoning, and sea salt. That’s all you need, and they’re so easy to make and store. Remember how we were saying energy bites make a great lunch box addition? This key lime coconut flavor is super good and easy to make with cashews, almonds, medjool dates (so delicious), lime juice and zest, and unsweetened shredded coconut for rolling. Kids love chicken tenders? YOU love chicken tenders? No problem. This easy version is delicious with homemade ranch seasoning mix, paprika, and a simple coating of potato or tapioca starch for a crust that’s crispy and delicious without the need for grains or deep frying. Remember Fruit Roll Ups and Fruit by the Foot? Yeah, no fruit to be found in those. But this homemade fruit leather is so tasty you won’t be able to stop eating it, and it’s made with nothing but real fruit, honey, and a bit of lemon juice to help keep the colors bright. Here’s another easy chicken recipe that’s yummy in packed lunches or just for a game day snack. Or a picnic! You’ll need a chicken breast, salt, fresh cracked black pepper, onion powder, paprika, cayenne pepper, egg, tapioca flour, water, and coconut oil or red palm oil. 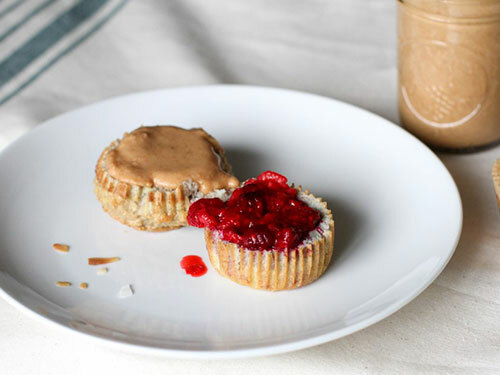 If your child loves peanut butter and jelly but needs to take a nut-free lunch to school (plus you want it to be paleo), try this instructional using this blogger’s English muffins, toasted coconut butter or sunflower seed butter, and a quick fruit spread made from frozen berries. These coconut chips are great for munching or for sprinkly over paleo treats or sweet breakfasts like grain-free porridge. 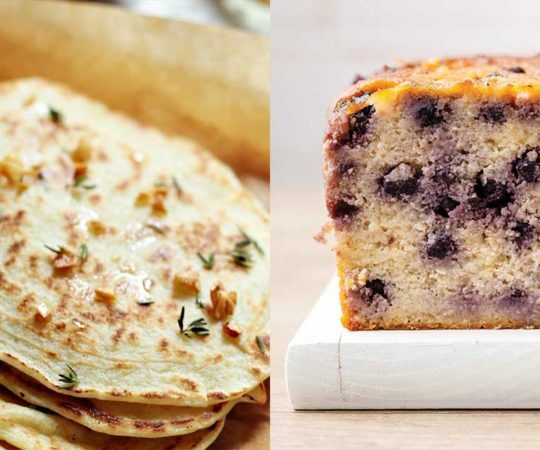 You can pack them as a lunch box dessert. They’re really easy to make with just ribbon coconut shreds, coconut sugar, coconut milk, and sea salt. I think these muffins would maybe be one of my favorite things to find in my lunchbox when I open it. They’re made with sweet potatoes, hickory smoked bacon, almond butter, maple syrup, eggs and egg whites, vanilla extract, cinnamon, salt, and finely chopped almonds. So much goodness. These protein smoothies might not be quite right for your kids’ lunches, but they’re excellent for you to take to work and have as a mid-morning snacking or part of your lunch. This recipe makes a big batch for storage with protein powder (use a paleo one), sun butter, greens powder, coconut sugar, and almond milk. 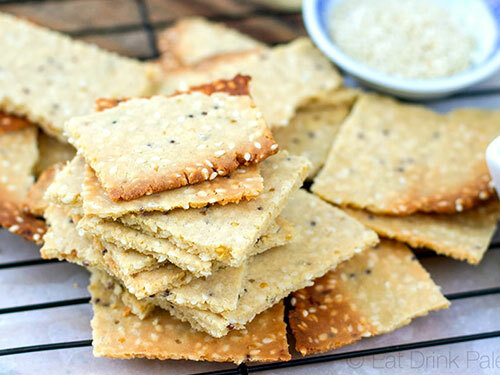 It can take practice to make grain-free crackers that are actually flavorful, but you can beat the learning curve with these yummy crackers made from coconut flour, wholegrain mustard, tahini, and butter. They’re great for lunch boxes with cuts of meat or veggie spreads. Mason jar salads are the queen of grown-up packed lunches, but if you’re running out of salad ideas, I’ve got you covered. You’ll need chicken breast, sesame oil, coconut aminos (for the tamari), honey, sesame seeds, chili flakes, shredded carrots, cabbage, mushrooms, bok choy, and more. Lemon poppyseed muffins are sunny and deliciously flavored—perfect for enjoying when you open your lunch box. They’re kid-friendly, too! This version is sweetened with applesauce and raw honey and flavored with vanilla extract and plenty of lemon juice and zest. If you took this salad to lunch or sent it with your kids, you wouldn’t have to pack anything else with it. It’s got everything! This salad is filled with diced chicken, apples, broccoli, raw almonds, green olives, dried apricots, crumbled bacon, and a yummy vinaigrette made from garlic, lemon, paleo mayo, white wine vinegar, Dijon mustard, raw honey, herbs, and Himalayan salt. Pretyt much anything you bake in a muffin tin is great for lunch packing because they’re portable and self-contained, and not messy to eat. These egg cups have lots of veggies in them, like red bell pepper, orange bell pepper, and green onions. And they’re high in protein, too!